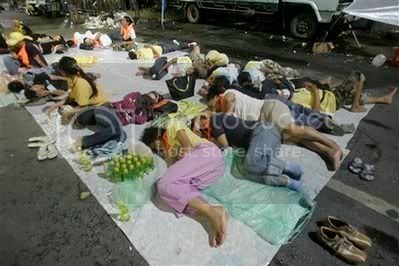 In my hometown of Bangkok there is a peoples revolution happening at the moment. 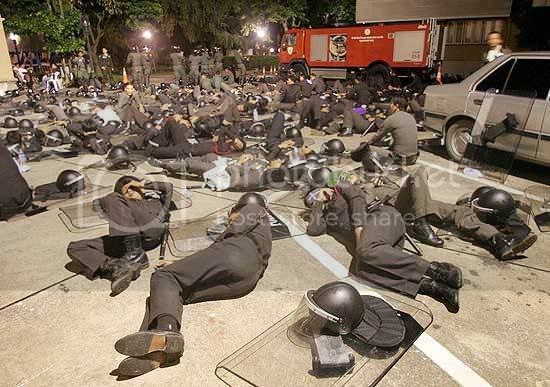 over 30,000 non-violent protesters have seized the government house (like the white house) and the International Airports in Bangkok and are refusing to leave until the current administration resigns. There is much more to tell and the answers can be found within. 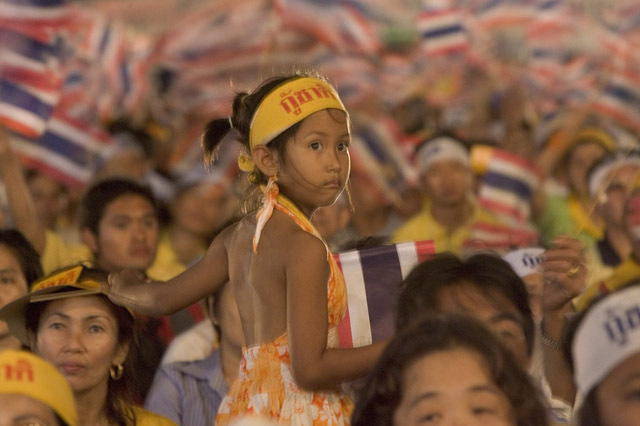 Bangkok Pundit and Crispen analyze the potential next steps that parties may take. In a very Thai Way. Starting and ending with Thaksin. From the BBC - Showing the Thai Police using Tear gas on its citizens. A week before he was disqualified from office for hosting a cooking show. Protesters fill the Highways leading to and from the airports. Who Bumped "Thailand Airport Crisis PAD vs. Goverment"?